The intense and polemical debate over the legality and morality of weapons systems to which human cognitive functions are delegated (up to and including the capacity to select targets and release weapons without further human intervention) addresses a phenomena which does not yet exist but which is widely claimed to be emergent. This groundbreaking collection combines contributions from roboticists, legal scholars, philosophers and sociologists of science in order to recast the debate in a manner that clarifies key areas and articulates questions for future research. 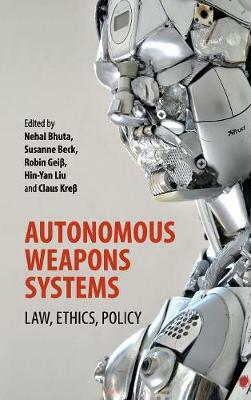 The contributors develop insights with direct policy relevance, including who bears responsibility for autonomous weapons systems, whether they would violate fundamental ethical and legal norms, and how to regulate their development. It is essential reading for those concerned about this emerging phenomenon and its consequences for the future of humanity.